POSist: POSist is the most trustful POS system which provides restaurants different features with 24x7 support. POSist is a cloud based software which works offline and online both and the restaurant owners don’t have to worry about data Loss. With a price valuation of around one lakh, it has become restaurants favourite. “It’s super smooth in terms of scaling as it’s easier to create new offers and add items. It Gives a better visibility of table level transaction. And it has anti-theft which is very useful as we can control everything from stock, billing, attendance,” shared Varun Puri, Owner, Duty Free and Imly, adding that it provides 24*7 support to the business. Romio Technologies: The major expectation from any POS system is to be customizable, efficient, reliable and simple to use. Romio provides all that plus it has many intuitive features like a full featured KDS, third party order integration, theft management, multiple payment mode along with a robust MIS system that's works great with our multiple outlet setup. With a price valuation of about 35000 per terminal, it has become restaurants favourite too. “A restaurant these days is all about providing a complete dining experience. A well executed POS works in the background to support seamless operations to achieve that. Beginning from seating a guest and table assignment all the way to raising a bill,” pointed Deepankar Arora, partner at Tawak, adding that Romio has a smooth multi-department interaction interface that enhances a guest's experience by ensuring a quick, smooth and quality dining experience along with maintaining guest preferences and loyalty program in its CRM module. FMS: FMS is one if it’s kind in the world which is used to manage franchisees comprehensively. It takes care of everything from projects to raw material ordering, capital goods ordering, inward, profit and loss statement, referring SOPs, recipe cards and raising issue. Hence, it is an integrated medium of communication between restaurants and franchises as it helps us in easy monitoring and reports. With a price valuation of approx Rs10-15k per year depending on the features used, it is preferred by top QSRs brand globally. “We use our invoice POS which is also integrated with customised franchise management system. It’s customised by hot dog technologies. There are various touch points like suggestive up selling, recipe cards etc which help us to keep a standardized restaurant operations without relying only on manpower skills. Our software takes care of training’s and has inbuilt right prompts which help to maintain consistent customer experience,” said Karan Tanna, CEO, Yellow Tie Hospitality that operates restaurant brands like Bombay Blue, Genuine Broaster Chicken, Wrapchic to name a few in India. Strawberry POS: More than a POS. More than online ordering. 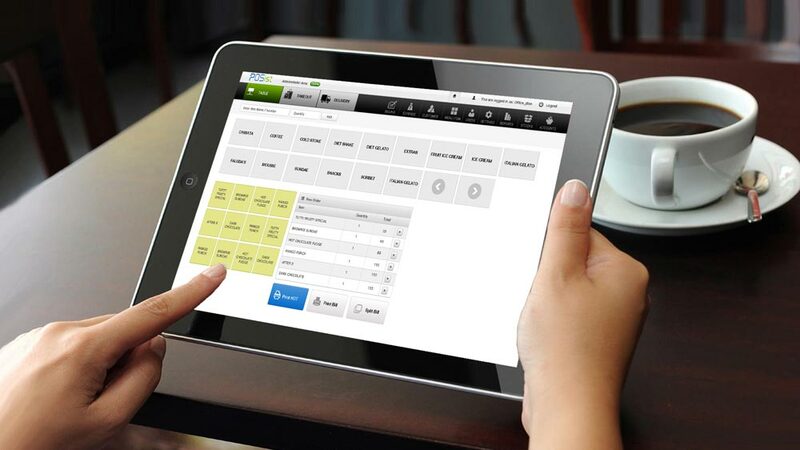 An integrated system to reward loyalty, connect with customers, and increase sale Starwberry is personalizing dining experience. However, it is unable to win heart at the restaurant front. “We are using strawberry and it is just okau. We realized we need to develop our own POS for being one stop solution for SCM, POS, and a few more tech integrations like audit. Honesty not satisfied with any POS so far. All POS in market are vanilla,” added Pankaj Judge, CEO 7 Co-Founder at Chai Thela, rating 5.5 out of 10 to the Strawberry POS. “We paying 2000 per month per location for POS and it’s just satisfactory,” he added further.